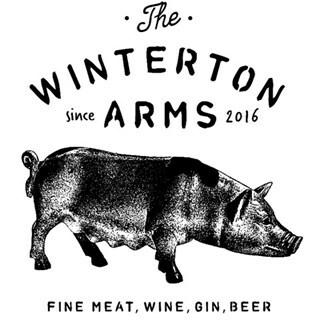 Fine meat & craft beer from the team at The White Hart, Witley. Very lovely staff, food was very nice and we like the beaver tree ales. Very accommodating and helpful when we hadn't mentioned bringing a dog with us! Fabulous roast. Good qaulity meat and proper portion! Great veg and Yorkshire too. Very busy and yet staff looked happy and were attentive. Excellent experience. Really superb - food was glorious. The bavette steak continues to be one of the tasiest meals in our areas. Thanks for looking after our dogs so well. It’s really appreciated. See you soon. Food has usually been excellent in the past but the chops had to be returned as they tasted fine but weren't hot when brought to the table. Best pub meal I’ve had for quite some time. Everything was delicious. First time here. Love the sister pub - The White Hart. Enjoyed it. Burgers are excellent. Great to see Beaver Town on tap. Always recommend the Winterton to my pals, and always enjoy my meals there - great food, great team, great place. Can't really ask for more! Great atmosphere and fantastic steak! 3rd perfect experience. Seriously, keep up the great work. Service was a little slow on arrival but otherwise we had an enjoyable meal with you, as usual. How do you get you’re wings so crispy? As always - it was superb overall. The food ( particularly my ribeye ) was excellent. And it was lovely to be able to enjoy the first beer of the season in the garden after lunch. Thanks for looking after the pups so well too. See you soon. 100 gins, fab food and excellent service! We spent a fair bit of money on a meal for 6 including 2 kiddies- unfortunately the sausage and chips came with gravy which wasn’t mentioned and my son can’t bear sauce of any kind (it’s a consistency thing!) I mentioned it may be an issue but surprisingly that was ok but the kids sausages had such a strong flavour even I took a strong dislike to them. We asked for some more chips as my son was still hungry as the sausages were such an inappropriate flavour yet we were still charged for chips. We had explained the issue and really for the prices we were paying and it wasn’t really our fault it was a bit disappointing- principle of it rather than the price. Not the customer service I would have expected! I have been twice now and always look forward to visiting. The food is amazing. Service is great with matching atmosphere. I’d ask only one thing and it’s minor, a few more well known beverages please. Our first visit here and the lunch special menu was great value. However we weren’t shown this menu and had to ask for it. The other thing is you must have the children’s menu in the menu. We ordered an adult meal for our 7year old as we didn’t know there was a children’s a menu available. We only realised when the food arrived and we turned over the activity sheet. Burgers are always delicious, service is friendly and knowledgable and Burger Tuesday is a fantastic deal!